How can I like this story? How can it bring both pain and joy? 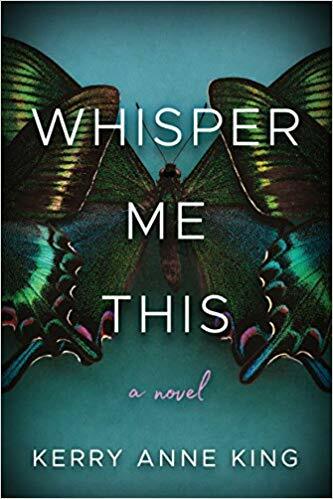 Whisper Me This is not what I expected; it’s a much better story, deeper and more thoughtful, than the description would indicate. There are some basic questions: Who is Marley? Why has Maisey’s mother gone so far to hide her sister’s existence? Why has her mother bought a gun and been practicing kill shots? How deep and far do the secrets go? I don’t normally read books with violence against women, but the description for Whisper Me This touched me, as there were similarities to my own childhood. I loved this story on so many levels! And while Whisper Me This starts out leading you in one direction, each story thread weaves its way about in unexpected ways. There are unexpected heroes, quiet guardians, and strong, courageous people battling through the mess and sacrificing themselves to save others. The writing is wonderfully fluid, the story more complex than I can go into, and the story threads tucked and woven into a coherent tapestry of triumph. As the story starts, Maisey’s working yet another temp job when she gets a shocking phone call. Her mother, who has never really approved of Maisey’s scattered lifestyle, is in a coma as the result of a head injury and her beloved gentle-spirited father is the prime suspect. But Maisey knows her dad, ever one to rescue the odd insect or small animal, would never, ever hurt her mother. They might argue and yell now and then, but he’d never raise a hand to her mom. As she searches her childhood home trying to find her mom’s advance directive even as her father attempts to destroy evidence perhaps at her mother’s behest, Maisey discovers more than the physical trails: burned and shredded documents, a key to a safe deposit box, duplicate baby toys and blankets… She also discovers memories she hadn’t realized she lost, that imaginary friends might be real, and that her mother isn’t the person she thought she was at all. I grew up in an abusive home, and while if you are heavily affected by PTSD, this story might trigger you, I didn’t find it triggering, but oddly comforting, nurturing, and wise, as many people in this story, women and men alike, walk along the road to discovery, recovery, and freedom. Yes, some stay mired in the abuse, but more lift themselves out of their circumstances through their indomitable will and the love and support of friends and family. There are some incredibly deep life lessons here, and I say that as someone who has counseled young women and my own daughter over and over, trying to arm them against the risk of abusive relationships. And if you’ve never been in such a situation or known anyone in a similar situation, you’ll still enjoy the story, because it works so well on so many levels. It’s taken me several hours to be able to write this review, as it’s so hard to explain why this is not just good novel for a book club to read – and believe me, I believe every book club should read it, but what a strong tool this could be. It is SO important that young people have conversations about the very material that this book covers in a real and living way. It’s not just a guide, a list of grooming behaviors, or a PowerPoint presentation. It’s not dry and factual, but alive and vibrant and soul-wrenching. And it makes you consider what constitutes abuse, what is the line that divides love and obsession, respect and fear… and offers several ways to step back from abusive relationships. I believe the very emotions this book evokes and the stories it tells are what can protect young people and older folks alike from abusive relationships and inspire others to escape them. I’m very glad I chose this book as my Amazon July First Reads choice.